Rock star David Bowie, asked by Vanity Fair magazine to name his 25 all-time favorite records, chose one on the Innova label. Maybe it's a sign that the small, independent, nonprofit record label based in St. Paul has hit the bull's-eye. "By turns creepy as hell and positively rocking" is how Bowie described "Delusion of the Fury," a collection of works by maverick American composer Harry Partch. Innova, a branch of the American (formerly Minnesota) Composers Forum, has been around since 1975, but it was only in the mid-1990s that the label switched into high gear, expanding its distribution, updating its technology to include Internet audio streaming, and increasing its output to two dozen CDs a year. It's now one of the most active Twin Cities labels in terms of titles released annually. Two years ago, Innova received a grant of $1 million from the McKnight Foundation to use as a perpetual endowment fund. To be sure, there are many small record labels, but few offer the range of Innova, whose catalog of 100-plus CDs embraces contemporary classical, frankly experimental, world music and jazz. Innova generally favors genre-busting music that has trouble finding a home elsewhere, but R. Stevie Moore's "Nevertheless Optimistic," Innova's first pop record, could be an exception. Moore is the son of Scottie Moore, Elvis Presley's longtime bassist. "Just because it's pop doesn't mean it's not weird," says Chris Strouth, Innova's director of artists and product. "Stevie is a home-taper. He's been taping himself for 35-40 years, and his music isn't going to be played at more commercial outlets." Innova has developed another niche in the way it finances its records. For starters, it keeps manufacturing costs low -- around $5,000 for a 1,000-disc run. For artists who can't cover those costs, assistance is available through the McKnight-funded Recording Loan Fund. These funds are made available as loans at 6 percent interest and are offset by sales income. A record breaks even at about 660 copies sold, an extremely low figure for the industry. Once the loan is paid back, the artist receives 100 percent of the profits along with all the rights to the material. It's that last feature -- rights -- that most impressed Irwin Chusid, an author and a veteran radio host on Boston's WFMU. Chusid, who produced Moore's CD, said, "No label will concede what are called third-party licensing rights. But here we're talking about commercial labels. Innova isn't a commercial label. They can't earn a profit. 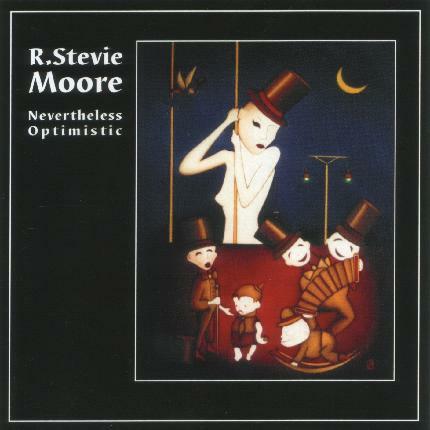 So if somebody comes to me wanting to put an R. Stevie Moore song from 'Nevertheless Optimistic' into a car commercial, Innova gets none of that. That's in their contract. "For Innova, the McKnight grant is what's going to insure their survival," he said. "It covers their budget, and they can afford to put out projects that may sell only 300 or 600 copies. If you're a commercial company and you're putting out records that sell 500 copies a year, you're going out of business." "Innova has the potential to be the biggest new-music label in the country within the next few years," said Linda Hoeschler, who was executive director of the Composers Forum from 1991 to 2003. "Partly that's because a lot of the other labels are going to die," she said, mentioning Composers Recordings Inc., a much-respected new-music label that folded last year. Despite her optimism, Hoeschler admits that she thought of killing off Innova in the mid-1990s. Initiated as a way of documenting winners of McKnight's composition awards, the label was putting out only one CD a year. "It was a huge financial drain on the forum," Hoeschler said. She turned the reins over to a staffer, Philip Blackburn, an Englishman with a doctorate in composition from the University of Iowa who describes himself as an experimental sound artist. In short order, Blackburn addressed some of his own far-flung musical interests. He went to Vietnam and recorded the music of the hill tribes, "a project that actually made us some money," Hoeschler said. He also oversaw eight CDs of music by Partch, who died in 1974. "Delusion," Bowie's favorite, is the label's biggest seller: 3,000 copies to date. Blackburn produced an intriguing CD titled "If Tigers Were Clouds," a collection of experimental works by American women; now he's turning to the work of Henry Brant. "At 90, Brant is America's senior composer, except for Elliott Carter, and there's almost nothing of his available in the catalog," Blackburn said. He also came up with the Recording Assistance program. "There's nothing like this in the country," Hoeschler said. "We know a lot of these things are not going to sell tremendously well, but composers still need a CD. A lot of them will try to do it themselves. They'll take their small inheritance from their Aunt Jane and plow it into hiring the Slovac Philharmonic to record their orchestral work, and after they give away their 50 copies to relatives, they still have 950 and no way to sell them because they're not on a label." Strouth, formerly head of Twin Tone Records Group, joined Innova two years ago, bringing a pop and jazz perspective to the label. "Chris pointed out a big need in jazz," Hoeschler said. "The major labels were dropping jazz." The staff, housed in the forum's downtown St. Paul offices, has remained small. Besides Blackburn and Strouth, Chris Campbell handles shipping and Rod Smith publicity. These days, Innova discs get radio play in far-off lands such as Lithuania and Australia. "If you look on the Internet, you'll find reviews of our records in Croatian and languages that don't even reproduce on my computer," Blackburn said. On the immediate horizon is Blackburn's trip to Cuba in March to meet with -- and lay plans to record -- musicians there. "We're probably going to have a whole new Cuban label," Hoeschler said. But what of the prevailing notion that the record that can be held in the hand will soon be a dinosaur, replaced by some form of downloading? "That's the future of the industry, downloading," Hoeschler said. "And people are doing that constantly now with Innova records. "People say to me 'Aren't you worried about copyright infringement?' I say 'God, if people are selling bootleg copies of our records, I'm happy,' because what we're trying to do is help the composer. Nobody's trying to make a lot of money on this. "So, I don't know. Maybe Innova will move into video." Michael Anthony is at manthony@startribune.com. � Copyright 2004 Star Tribune. All rights reserved.